We have locations in the following states. Go ahead and click one. Did you have a great experience? Maybe you just want to reach out to say hello. Either way, we love hearing from you, so contact us. Join our growing community of fun-loving, motivated purveyors of the best frozen treat around. Each location is individually owned and operated by people from the community. Find your nearest location(s), and apply directly using their employee application (which is found on their profile). 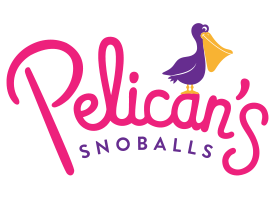 Whether just for fun or you are doing a fundraiser, we can come to your location, set up, and sell SnoBalls. Each location is individually owned and operated by people from the community. Find your nearest location(s), and request an event (which is found on their profile). Aside from the $250 Starter Package we also offer additional mobile event services. Whether just for fun or you are doing a fundraiser, we can come to your location, set up, and sell SnoBalls. For fundraisers, we typically give back 20% of the sales to your organization. An additional charge may apply if event is more than 20 miles from nearest location. This information is not intended as an offer to sell, or the solicitation of an offer to buy, a franchise. It is for information purposes only. Currently, the following states regulate the offer and sale of franchises: California, Hawaii, Illinois, Indiana, Maryland, Michigan, Minnesota, New York, North Dakota, Oregon, Rhode Island, South Dakota, Virginia, Washington, and Wisconsin. Within the U.S.A., we offer franchises solely by means of our Franchise Disclosure Document. There are also countries outside the U.S.A. that have laws governing the offer and sale of franchises. If you are a resident of one of these states or countries, we will not offer you a franchise unless and until we have complied with pre-sale registration and disclosure requirements that apply in your jurisdiction.